Symptoms of irritable bowel syndrome (IBS)—including abdominal pain, gas, diarrhea, and constipation—are thought to occur from many causes. The two major causes are changes in the motility (movement) of your gastrointestinal (GI) tract and changes in sensory perception. Most people without IBS don’t sense the movement of food from their esophagus to their stomach and through their intestines. But people with IBS tend to be very aware and are more sensitive to discomfort during the process. Esophagus. Spasms in your esophagus can make it hard to swallow or feel like you have a lump in your throat. Stomach. Indigestion due to poor motility can cause belly pain, bloating, nausea, a heartburn sensation, burping, or regurgitation. Biliary system. Your biliary system makes bile to help your intestines digest food. If motility problems affect your biliary system—including your gallbladder and bile ducts—it can feel like a gallbladder attack. You may have bloating, nausea, vomiting, and abdominal pain. Small intestine. Spasms in your small intestine also can cause gas and bloating. Large intestine (colon). IBS symptoms in your colon vary depending on how motility is affected. If food runs too quickly through your large intestine, you can have diarrhea. That’s because food residues aren’t staying long enough in your intestine for water to be absorbed in your body. If food moves too slowly through your large intestine, the opposite problem can occur: constipation. IBS symptoms mimic a variety of digestive diseases. This can make diagnosis difficult. So, identifying IBS is often referred to as a “diagnosis of exclusion,” meaning it’s pinpointed as IBS only after other diseases have been ruled out. Esophagus and stomach. An upper endoscopy uses a long, thin, and flexible scope to see inside the upper GI tract. Small intestine. A CT enterography, or a small bowel series, is a set of x-rays that can help detect conditions in the small bowel. Large intestine. A colonoscopy can give the most detailed look at the inside of the large intestine to detect or rule out conditions. Everything outside the GI tract. 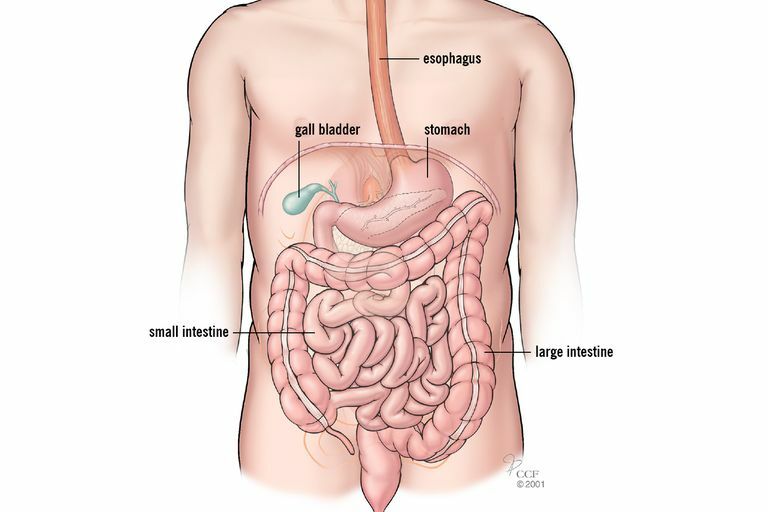 A CT scan and blood tests can detect or rule out other diseases that may be affecting digestion. Having these tests can help make a definitive IBS diagnosis. While IBS is a diagnosis of exclusion, be reassured that it’s a real disease that has real treatments that can significantly improve your quality of life. If you have IBS, never assume that new GI symptoms are just part of your chronic condition. Always have new symptoms, like weight loss or loss of appetite, evaluated. One symptom that IBS does not cause is bleeding. If you have rectal bleeding or bloody stools, it’s not IBS. Get to a doctor. Dr. Baggott is a gastroenterologist at Cleveland Clinic's Wooster Milltown Specialty and Surgery Center. Major G, Pritchard S, Murray K, et al. Colon hypersensitivity to distension, rather than excessive gas production, produces carbohydrate-related symptoms in individuals with irritable bowel syndrome. Gastroenterology. 2017 Jan;152(1):124-133.e2. Paulsen SR, Huprich JE, Fletcher JG, et al. CT enterography as a diagnostic tool in evaluating small bowel disorders: review of clinical experience with over 700 cases. Radiographics 2006;26:641–62.